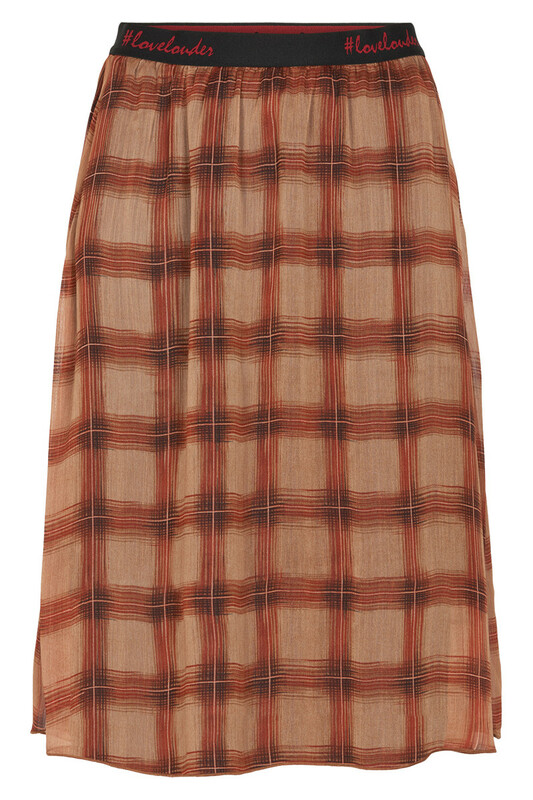 A classic and trendy skirt from Denim Hunter. The skirt is made with a classic pattern and fine details in form of the elastic waist ribbon with "Love Louder" statement and width at the bottom. Denim Hunter creates cool outfits with a feminine twist, which is being showed in this skirt.